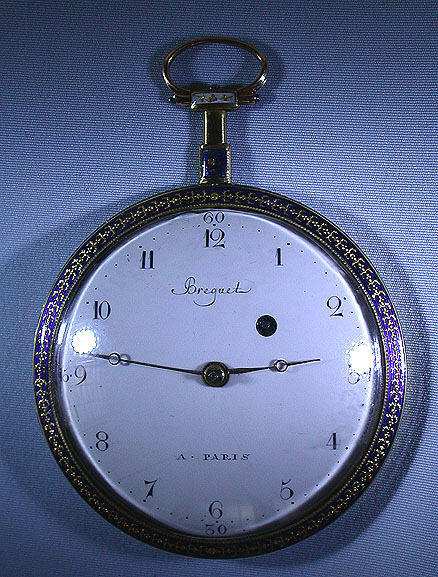 Fine large and slim French 18K gold and painted enamel virgule antique pocket watch circa 1800 signed Breguet. 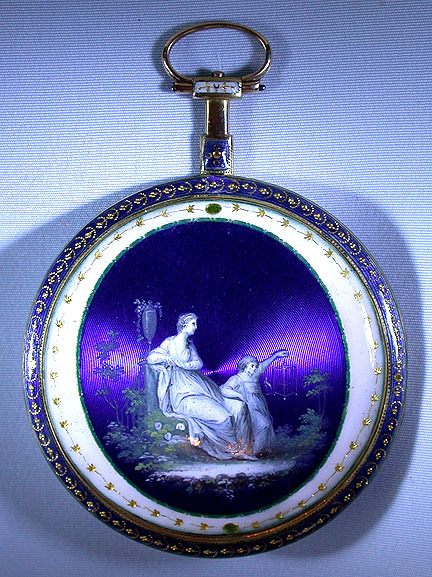 The back with a painted enamel scene of a mother and child in a classical setting against a cobalt blue enamel background over engine turning within enamel borders enriched with gold foil. The front bezel and pendant similarly decorated. Restoration in hard enamel with some surface unevenness. 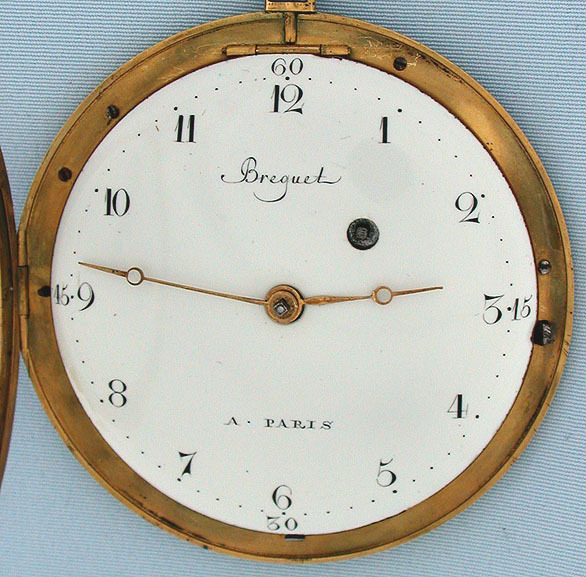 White enamel (minor edge chip) with black numerals and gold Breguet hands. 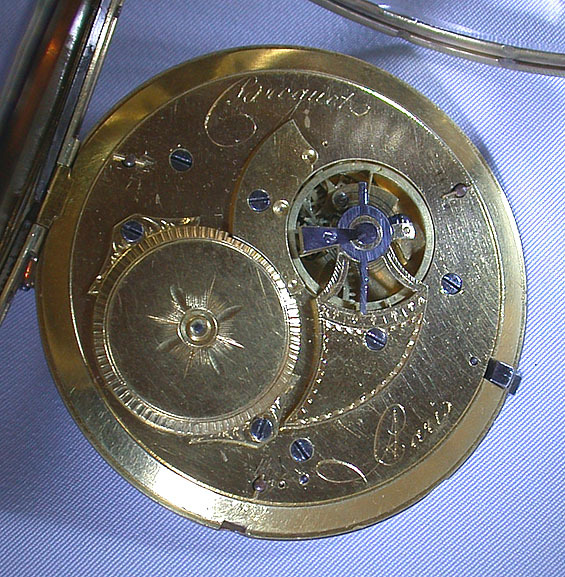 Ultra flat and rare gilt virgule movement. Abraham Louis Breguet was perhaps the greatest watchmaker of all time. His fame was so great that many of his contemporaries signed his name to their products. This fine watch was not made by Breguet.